Spinal fusion is a common surgical treatment for patients with disc degeneration, spondylolisthesis, herniated discs, or spinal instability. For conditions affecting the lower spine, transforaminal lumbar interbody fusion (TLIF) may be a solution. By decompressing, restoring height and stabilizing a segment, Dr. Luis Manuel Tumialán can reduce back or leg pain and improve your mobility. In the vast majority of cases, Dr. Tumialán's believes in taking a minimally invasive approach to this procedure. 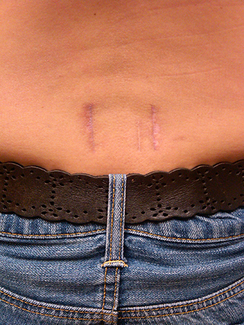 Two one-inch incisions on either side of the midline set the stage for a surgery that takes less than two hours and results in minimal recovery time. To learn more about minimally invasive transforaminal lumbar interbody fusion, contact Dr. Tumialán in Scottsdale, AZ, today. Spondylolisthesis - One vertebra moves forward out of alignment with the vertebrae above and below it. Spinal Stenosis - An abnormal narrowing of the spinal channel that causes pressure on the nerves. Degenerative Disc Disease - The discs separating each vertebra break down over time. If you suffer from one of these conditions, you will likely need treatment at some point. Indicators of spinal instability include lower back pain, tingling or soreness in the legs, weakness in the back and legs, or numbness. To properly diagnose the cause of these symptoms, Dr. Tumialán uses MRI imaging or CT scans. This imaging technology, in conjunction with a private consultation, helps Dr. Tumialán design the best treatment plan for each patient. The vast majority of problems with the spine can be resolved through weight loss and exercises to increase flexibility and core strength. Dr. Tumialán takes a conservative approach and only recommends surgery if all other therapies have been unsuccessful. “This new rod not only allows the procedure to be performed minimally invasive, but accomplishes a better outcome for spine alignment that would otherwise not be possible. Less surgical time equates with less blood loss, less anesthesia and overall better outcomes,” said Dr. Tumialán. 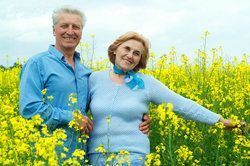 "Patients who required up to four days in the hospital with traditional midline open lumbar fusions now go home in 23 hours because of smaller incisions, shorter operative times and better restoration of disc height and alignment." From an interview with Dr Tumialán explaining the role of his invention for minimally invasive TLIFs. To fuse the spine with minimal disruption to surrounding tissues, Dr. Tumialán creates small, one-inch incisions on the lower back. This approach is much less invasive than open surgery, as fewer tissues are disrupted. Through these small incisions, he uses sophisticated tools, some of which he invented himself, to reach beyond the skin, muscles, and fat tissue of the back to manipulate the spinal column. Dr. Tumialán then performs a discectomy to remove damaged disc tissue and create space for bone grafting. 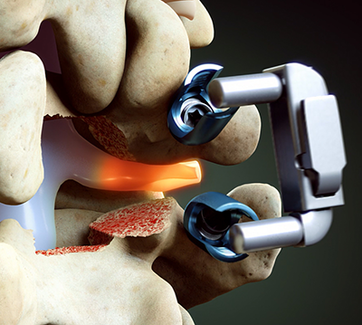 The bone graft will help the upper and lower vertebrae fuse together over time. A biocompatible plate and screws will hold the vertebrae in place during this process, helping to maintain the space where the bone graft tissue has been placed. This plate will stay in place permanently. Once Dr. Tumialán has stabilized the spine, he will carefully return surrounding tissues to their natural positions and close the incisions. In the months following surgery, the newly fused spine will become a strong single unit. TLIF is traditionally performed as an open surgery requiring a large opening near the spine in order to gain access to the vertebrae. With advances in minimally invasive technology, Dr. Tumialán is now able to perform the same procedure with much smaller incisions and minimal disturbance to surrounding tissues. Small incisions result in less bleeding during surgery. Sophisticated technology and a detailed surgical plan allow for precise treatment. Patients have less down time and can return to regular activities sooner. Whenever possible, we utilize a minimally invasive approach. It is the more precise, efficient, and effective treatment option.